Kevin Starr agrees with HH Bancroft that the name “California” comes from a 16th century Spanish novel. Indeed, after explaining how in 1862 Edward H. Hale (author of “The Man Without a Country”) discovered the novel, translated it, and demonstrated how it must be the source of the name California, Bancroft states flatly, “No intelligent man will ever question the accuracy of Hale’s theory.” (page 66). 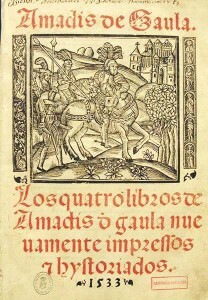 The novel is titled “Amadis of Gaul,” written by Ordoñez de Montalvo (Graci Ordóñez de Montalvo, according to Starr) and was originally published around 1510. Apparently, it was a bestseller until “Don Quixote” knocked it off the list one hundred years later (Starr, page 5). 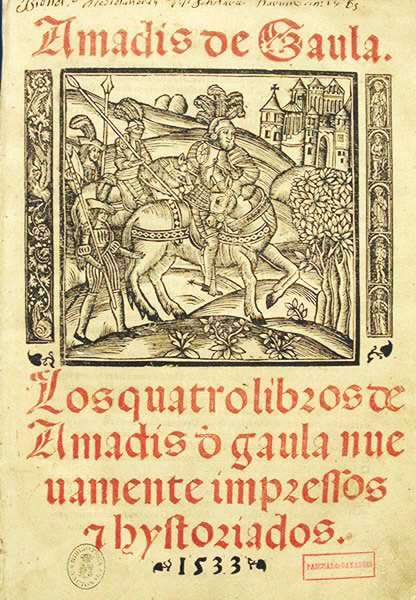 The story of “Amadis of Gaul” includes a race of black Amazons, under the command of Queen Califia, who hail from California, “an island on the right hand of the Indies . . . very close to the side of Terrestrial Paradise,” abounding in gold and precious stones. You can read more about the book here. The name California was first applied to the tip of Baja (La Paz) sometime between 1535 and 1539. But the story of the name of California only really gets interesting, though, when writers give their opinion as to why California came to be called California. During this period, the Spanish weren’t interested in colonizing more countries so much as they were in still trying to find the direct route to Asia. Columbus tried, and ran into the Americas. Soon after, the Spanish, under Hernán Cortés, ran around ransacking Mexico and reached the other side in 1513 (when Balboa first saw the Pacific Ocean). Still looking for the passage to Asia, in 1533 Cortés dispatched an expedition to sail up the west coast of Mexico to see where it lead. After a number of misfortunes – including mutinies, groundings, murder by natives, etc. (Bancroft, 5-6) – the then-leader of the expedition, Jiminez, is crediting with stumbling on a bay on what he supposed was an island. He didn’t name it at that time. When word got back to Cortés, he sailed over for a look, and named the bay and island Santa Cruz. He also tried to establish a colony there. Three times. All three attempts failed. The name California first appears in 1539, a few years after Cortés’s first visit, in a diary kept on a subsequent expedition under Ulloa. Starr and Bancroft both suggest the diarist, Preciado, didn’t apply the name, but rather, reported on its common usage at that time. Starrr believes the name came into use by people “half believing and more than fully hoping they would find there as well the gold and precious stones described in Montalvo’s romance, and perhaps even an Amazon or two” (page 6). And in most books I’ve read that discuss the origin of the name, that seems to be the prevailing sentiment. Which I think is much easier to believe. I’ve been to La Paz. Even now, there’s not much there besides a Señor Frog’s and a Moorings base. Most people I know get plastered at the former, then stumble down to the marina to charter a boat from the latter and sail off for uninhabited islands in the Sea of Cortes. Looking for the riches of the orient and running into Baja California is sort of like leaving Des Moines for Laguna Beach and ending up in Bakersfield. It may have it’s charms, but it’s not even close to Terrestrial Paradise. So I’m going with Bancroft on this one.